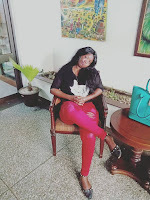 Monday September 10, 2018 - Director of Public Prosecutions, Noordin Haji, has finally spoken about the gory murder of University of Rongo student, Sharon Otieno. Sharon, who was clandestine lover of Migori Governor, Okoth Obado, was killed and her body dumped in Kodera Forest in Homa Bay. When she was killed, Sharon was seven months pregnancy with Obado’s child. Speaking in Mombasa on Sunday, Haji said that there would be no sacred cows and that those behind the murder will be dealt with according to the law irrespective of their status. “It does not matter whether you are a Governor, you will have to face the full wrath of the law,” Haji said. He called for patience among Kenyans so that investigations can run their full course and help unravel those behind Sharon's death. Migori Governor is yet to be arrested despite being heavily linked with the murder of the young soul. Not a first Governor suspect to have links to a dead university student, rem ms Keino anyone? No? Well that is WaKenya for you, we operate on extremely short attention spans. Next Scandal takes the headlines. Just see how fast we forgot Governor Korane's week old scandal as soon as Obado hit page one.